Twenty-One Stories Collected Here for the First Tiime! Full Page Original Art Work by Glenn Chadborne! MATINEE AT THE FLAME will take you on many different genre trails. From the Twilight Zone tempered title story, to stories of horror, science fiction, and the fantastic such as: The Blumberg Variations, Night Watch, The Man in Black, A Special Breed, Want, and Carnival to name a few. Twenty-One stories have been collected in MATINEE AT THE FLAME, over half of them appearing here for the first time. The previously published stories are being collected here for the first time anywhere. Artist Glen Chadborne has created full-page artwork for each story in this collection, as well as the wonderful cover. Christopher Fahy is the author of fifteen novels including Fever 42, Eternal Bliss, The Fly Must Die, Dream House, The Night Flyer, and Limerock a collection of Maine short fiction. His short fiction has appeared in The Twilight Zone Magazine, Cat Crimes, Predators, Night Screams, Gallery, Santa Clues, The King is Dead: Tales of Elvis Postmortem, Isaac Asimov’s Magical Worlds of Fantasy, et el. ==Please note: The Signed Limited Hard cover Signed by Author Christopher Fahy features an additional story! Only 500 copies published. 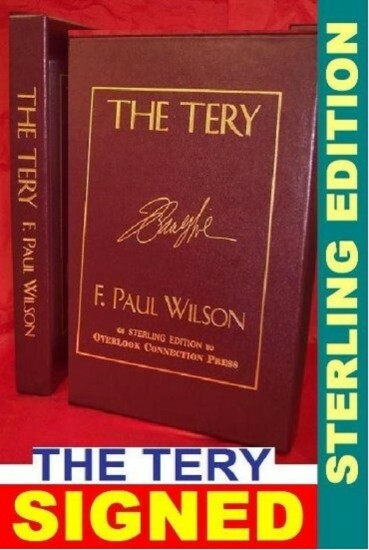 THE STERLING EDITION - 1 of 100 Slipcased, uniquely bound and signed editions, is also available. Sterling editions are produced with the collector in mind. Search our list for all editions of "Matinee At The Flame" for complete details.